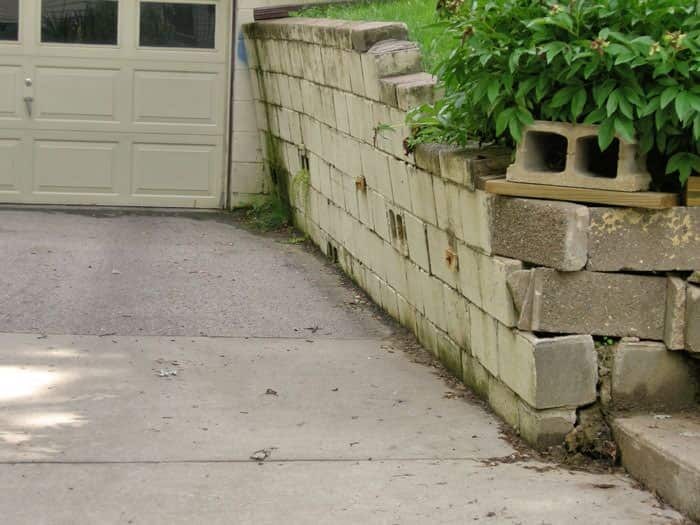 If your retaining wall is tilting, separated from adjoining walls, buckling, cracked, or crumbling, Total Foundation Solutions can provide you with an expert repair solution. Our foundation wall experts can identify the cause of the problem and restore your wall to its original condition. Crumbling/failing retaining walls: Retaining walls can crumble for a wide variety of reasons, most related to improper design of the walls itself. Often, the wall was not made to bear the weight load behind it. In the case of concrete retaining walls, the issue may be inadequate, weak, or poorly mixed concrete. Concrete retaining walls may also have been designed with inadequate steel rebar, resulting in insufficient strength. 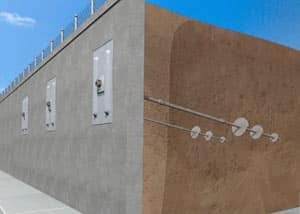 To repair retaining walls, Total Foundation Solutions typically recommends either wall anchors or helical tiebacks to restore structural integrity. Both wall repair techniques use a strong steel wall bracket on the exterior of the retaining wall to brace the wall and properly distribute the anchor's clamping pressure. 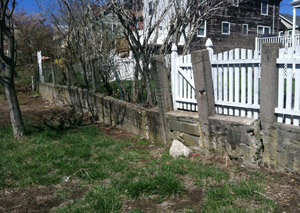 We repair retaining walls in PA and NY! 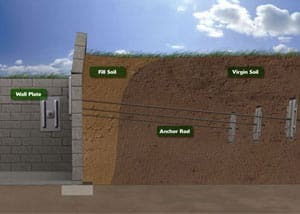 At Total Foundation Solutions, we provide warrantied solutions for retaining wall repair throughout Pennsylvania and New York. For homeowners interested in learning more about their unique problem, we offer free, written retaining wall repair quotes at no obligation.